Are you looking for WordPress plugins to help control how your content looks when it’s shared across social media? In this article, I’ll share the best WordPress plugins you can use to make your social shares look great everywhere. Why WordPress Plugins for Social Sharing? To get the most mileage out of every social share, you need to optimize a few key elements of your content so it looks great on every social network, including search results. While many websites have to rely on adding rich snippets to the HTML, WordPress users have almost unlimited options when it comes to easy-to-use plugins for social media optimization. Whenever someone shares content from your website on Twitter, you hope for at least two outcomes: 1) You want their tweet to bring other Twitter users back to your content and 2) you want your username added as the publisher and/or author. Unfortunately, a lot of the tweets you get for your content can look like this. Twitter cards make it possible for you to have rich media elements and a link to your Twitter handle included with each tweet of your content. You can see the difference in this tweet from a site using Twitter cards. In the above tweet, you see the title, description and featured image for the blog post that was shared. You can also see the author’s Twitter handle (@gsterling) and a link to the publication that goes to their Twitter handle (@segneinland). Jetpack—This plugin will be familiar to WordPress.com users as it’s a part of the free version of their blogging platform and has dozens of other feature enhancements for WordPress. JM Twitter Cards—A simpler plugin that only handles Twitter card implementation. WordPress SEO by Yoast—One of the top SEO plugins that also handles Twitter cards, Facebook Open Graph and Google+ authorship. Once you’ve installed the plugin of your choice, you can validate your content by using the Twitter Card Validator. After you sign in with your Twitter account, click the Validate & Apply tab and test a link from your website. You should see that the tags check out and a button to request approval from Twitter to use Twitter cards. Once your website has been approved, tweets from your website will have rich media summaries on Twitter. Whenever you share a blog post on your Facebook page, you have the option to edit the link’s title, description and preview image. When others like your post, they get whatever Facebook chooses to pull from your post. This can mean cut-off titles, the first sentence of your post and showing any random image on the page as opposed to the one that best suits your content. Implementing Facebook Open Graph protocol allows you to control exactly what’s posted on Facebook from your link. This will allow people to share the information that will make others want to click on your link. Facebook recommends using the official Facebook plugin for Open Graph protocol integration. In addition to crafting the perfect updates for Facebook, it also allows you to learn more about your audience and those who share your content through Facebook Insights. 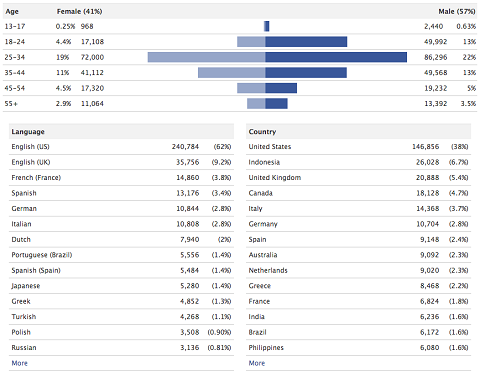 The Facebook plugin includes a range of data on your content shares. Alternatively, you can also use the WordPress SEO by Yoast mentioned earlier to implement Facebook Open Graph protocol on your website. It also includes the option to configure your website for tracking through Facebook Insights. What if you don’t want to implement Twitter cards or Open Graph protocol for Facebook, but still want to control the text that’s shared on social networks with your content? 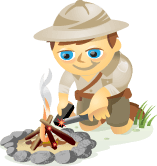 Enter your SEO title and meta description into the WordPress SEO by Yoast plugin. This title and description will be used on Facebook, LinkedIn, Google+ (title only), Pinterest (title only as description for image), social bookmarking networks like BizSugar and other social networks. You can easily preview what text will show in shares and search results. As an added bonus, the SEO title and meta description will likely be used in search results. So even if you don’t implement Twitter cards and Open Graph, do this. It helps control how your posts appear when they’re shared on social networks and when they show in search results. Speaking of social sharing, one great way to encourage people to share while adding social proof to your website is to install the official social sharing buttons from top networks on your content pages. If you’re looking at this site on your desktop, you’ll see the social sharing buttons floating to the left. While you can add these buttons manually into your WordPress template using the coding provided by Twitter, Facebook, LinkedIn, Google+, StumbleUpon and other popular networks, you can do it much faster using plugins like Digg Digg. This plugin allows you to quickly add your social sharing buttons as a floating toolbar to the left, right, top or bottom of your content. When you set up Digg Digg, be sure to visit the Global Config to add your Twitter username to any Twitter sharing button you place on your website. This will ensure that your @username is included with any tweets of your content. Optimize Digg Digg to add your Twitter username to content shared on Twitter. Google+ authorship allows you to establish authority with Google search through your Google+ profile. It’s a great way to optimize your website for both social and search as it includes your name, photo and link to your Google+ profile next to any content you’ve authored when it shows in search results. 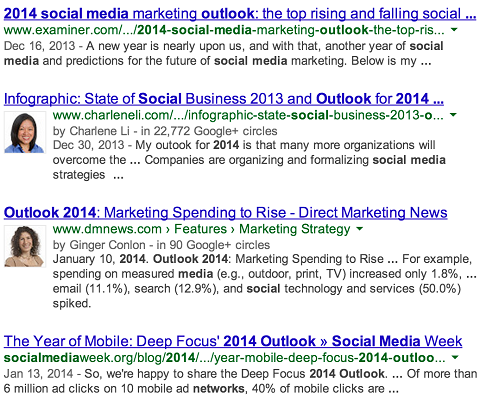 Google authorship helps with social and search optimization. There are two ways to manually establish Google+ authorship, but if you have a WordPress website, you can also use the Google Author Link plugin. This plugin allows authors on your website to place their Google+ link in their profile within your WordPress admin panel. The plugin will handle the code placement. Once the author has linked back to your website on their Google+ profile in the Contributor link section, you can test whether authorship has been set up correctly by previewing one of your content links using Google’s Structured Data Testing Tool. 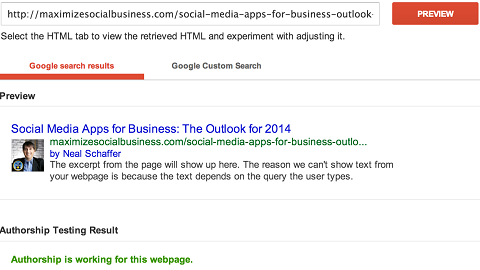 Test your connection to Google authorship with the Structured Data Testing Tool. This tool will show you how your content will appear in search results and if authorship has been set up correctly. If it’s not set up correctly, it will help you by giving you additional information and an authorship email verification tool. The latter only works if you have an email associated with the domain through which your content is published. Knowing what pieces of content get the most shares on Twitter, Facebook and other top networks can help you continue to create content that your audience loves. Social Metrics Pro is a premium WordPress plugin that measures your content’s social sharing within your WordPress dashboard. 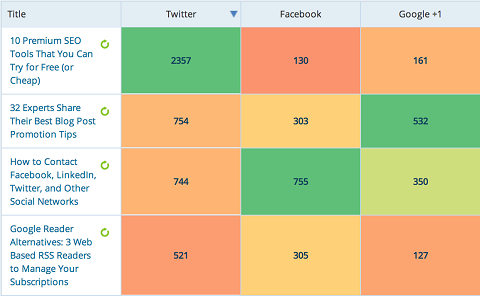 Filter the results from Social Metrics Pro by social network. This plugin measures shares on Twitter, Facebook, Google+, Pinterest, StumbleUpon, Digg and LinkedIn. You can sort results by social network—a useful feature if you know that a particular social network drives the most converting visitors to your business. You can also filter posts by date, category and author to find other trends. You spend a lot of time and care creating content. Once you publish, it’s important that your content is shared in a way that not only spreads your message, but also benefits your brand by increasing visibility and social proof. Each of the WordPress plugins in this article will make sure your content is optimized to include key elements across social media network shares and search engine results. What do you think? What WordPress plugins do you use to optimize your content for social? Please share in the comments!